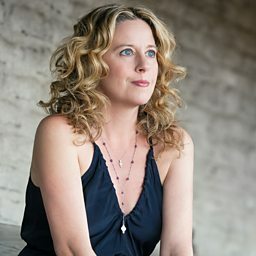 Amy Helm (born December 3, 1970) is an American singer-songwriter and daughter of The Band drummer Levon Helm and singer Libby Titus. She is a past member of the Levon Helm's Midnight Ramble Band and Ollabelle, as well as her own touring band. Her debut solo album, Didn’t It Rain, was released in July 2015, and her second release This Too Shall Light will be released September 2018 on Yep Roc Records. Helm conducted an in-depth interview about her life and career with The Pods & Sods Network in 2016 That year she and her band performed at the Edmonton Folk Music Festival.